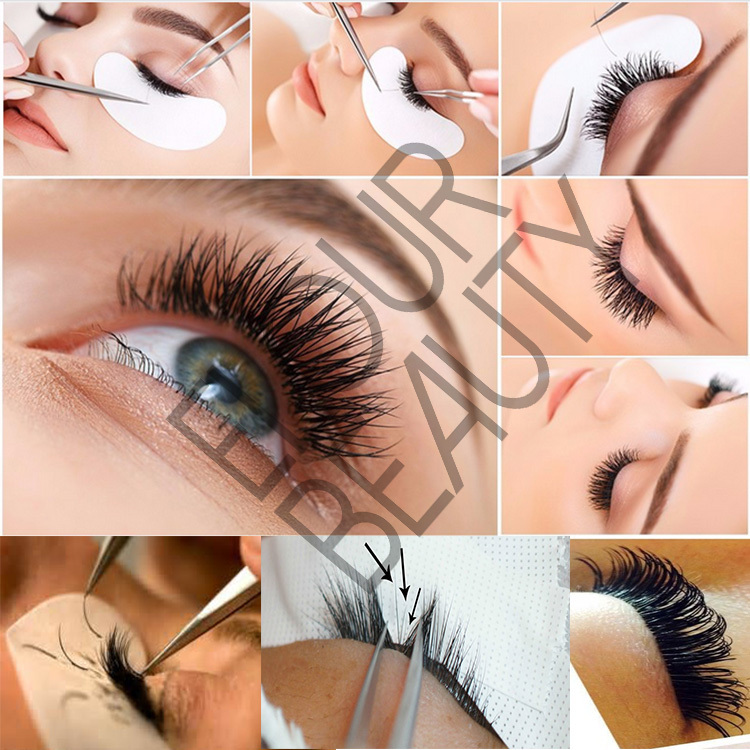 Best types of eyelash extensions premade fans glues free wholesale supplies.For the premade fans eyelash extensions,we have short stem,long stem,and also the glue freed ones on the root.These lash extensions are the newest ones,and the best types,easy to grafting and bloom,but no weight and harm to the natural lashes at all.Most importantly is the glue free root,is very natural looking,and volume,give you the glamorous beauty.Suitable for the salon use and also you can do DIY.Elour lash vendor directly supply,China factory wholesale,no middle man,the lowest factory price,but highest quality. 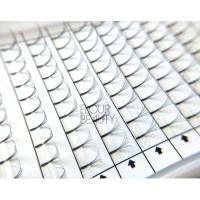 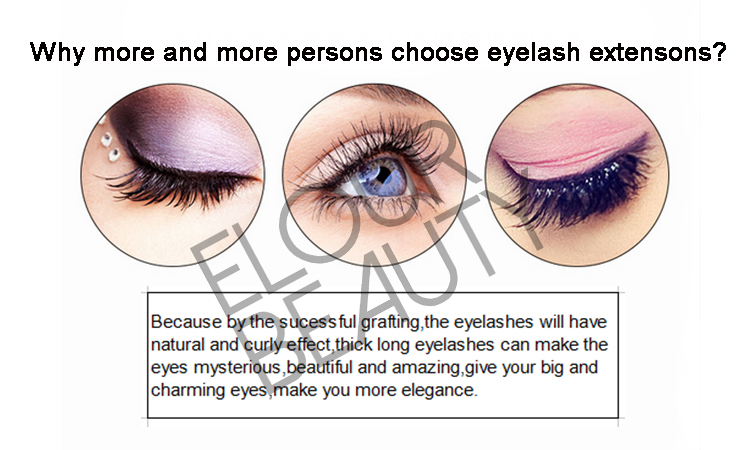 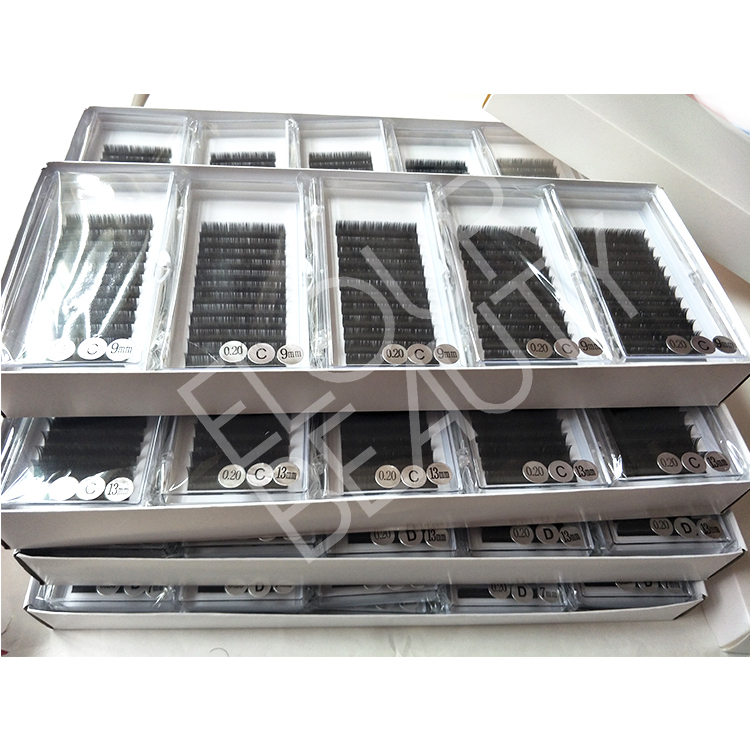 Elour Lashes are always in seeking new fashion things to our eyelashes,to add into the lashes to give the newest and easiest and natural looking to the beauties.Our common use premade fans eyelash extensions are the ones glued root or heated.These kind of lashes extensions, also have their own advantages And we developed new premade fans eyelash extensions,GLUE FREE at the root.When you see,they are same as the natural premade fans volume lash extensions,but when you take from the strip,the end/root is glued free,so no dots,not weight at the lashes,you can dip into the glue,then grafting directly,easy,convenient,saving time and no weight at all.We wholesale and factory supply for these glued free eyelash extensions at large quantity,low price,private label as need. 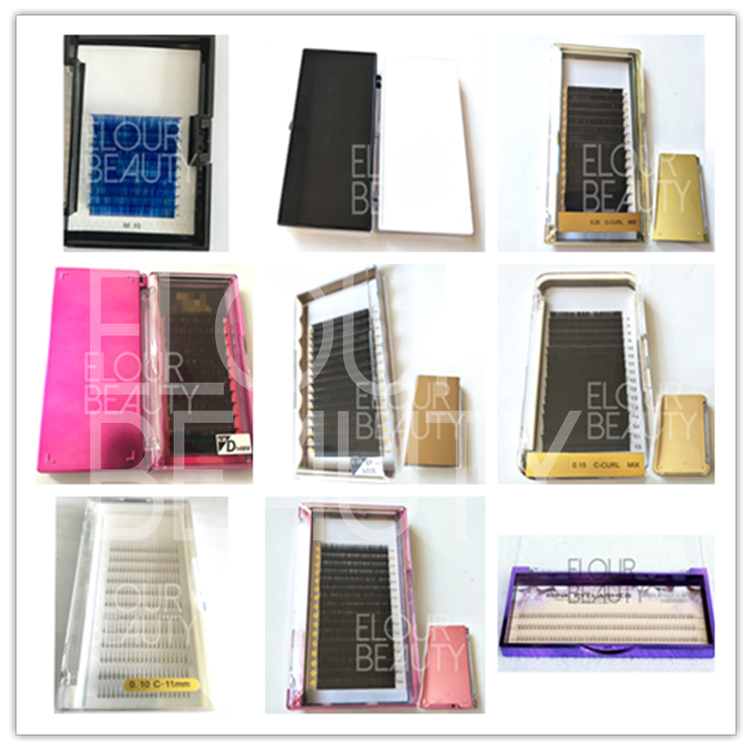 12 lines per pack with blank cards paper,each line is 10pcs,total one tray is 120pcs,big and volume.And the blank cards,can do your own logo cards. 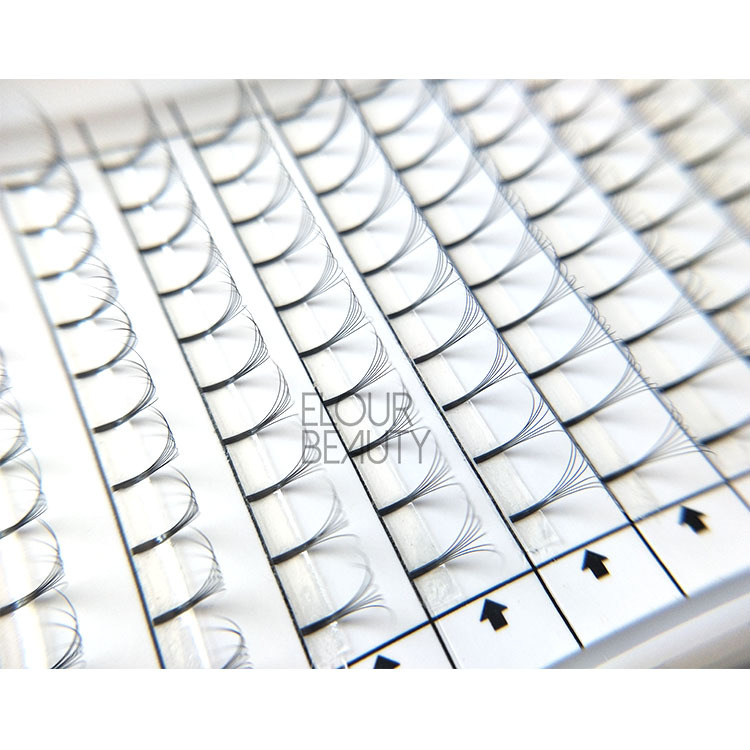 The clearly close picture of the premade fans eyelash extensions,6D,volume,and the root is with no glue,new and really easy to use. 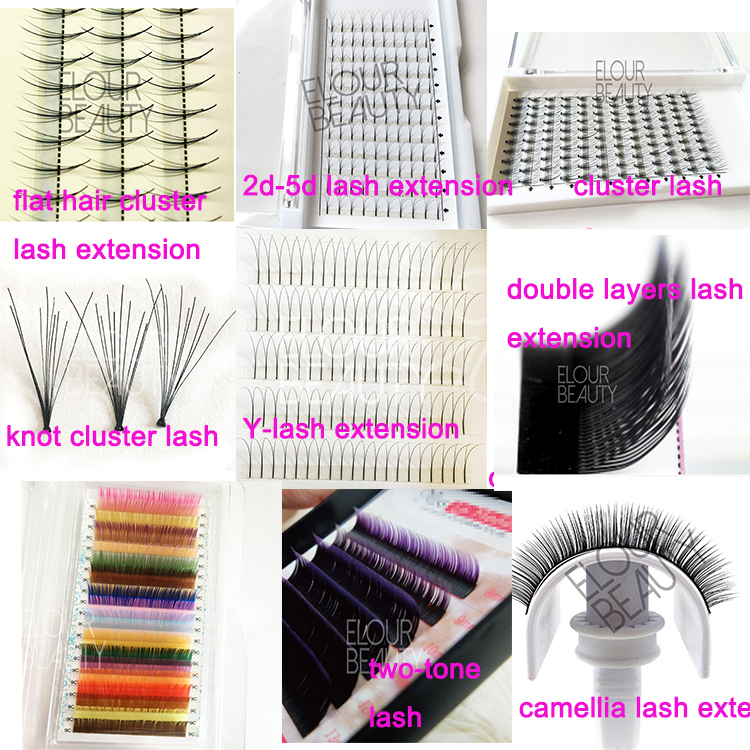 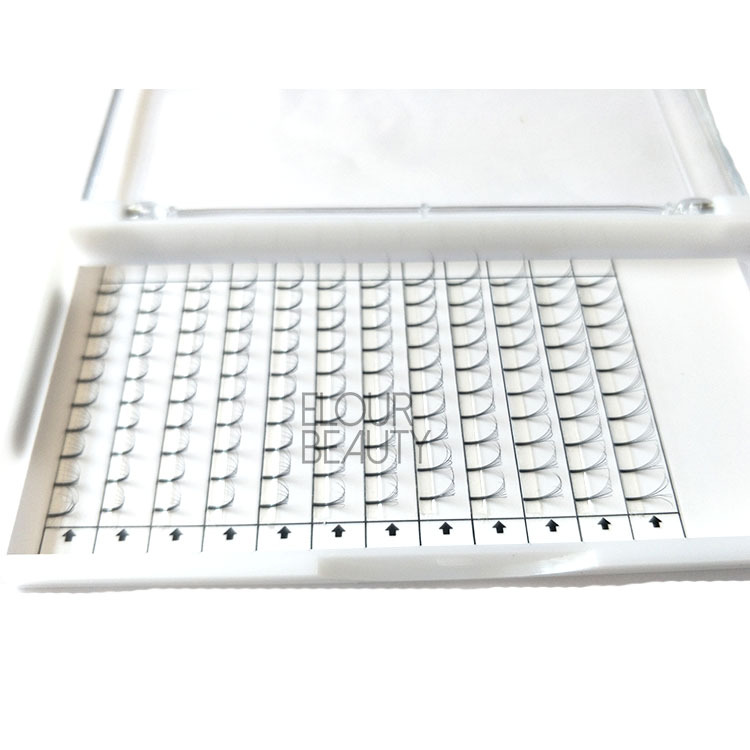 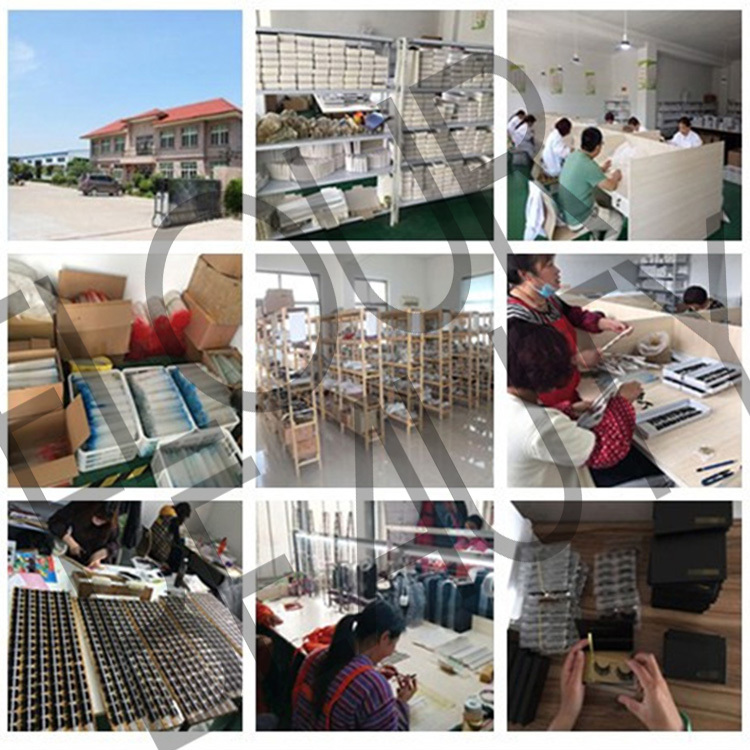 Best quality,best kinds of eyelash extension types,the newest and best premade fans eyelash extensions factory supply only for you. 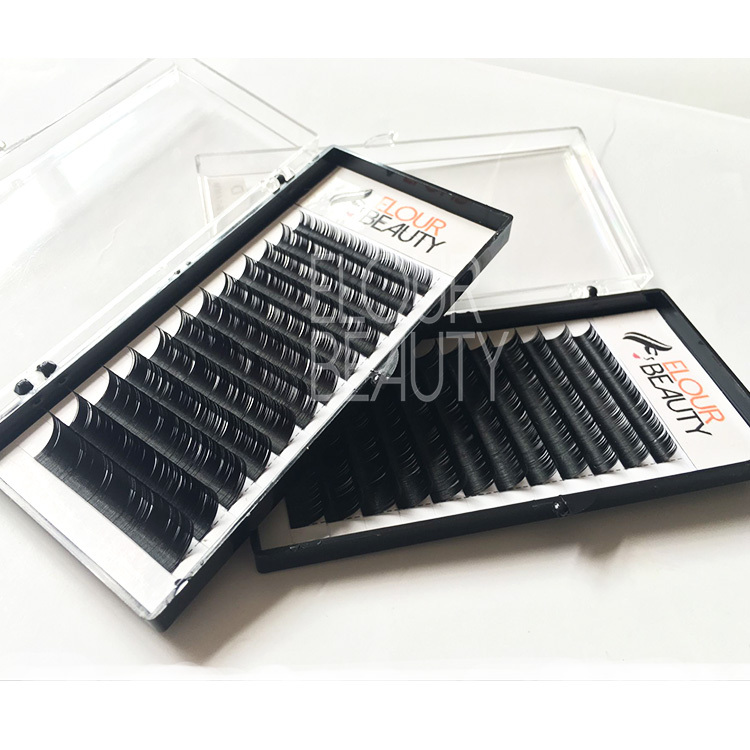 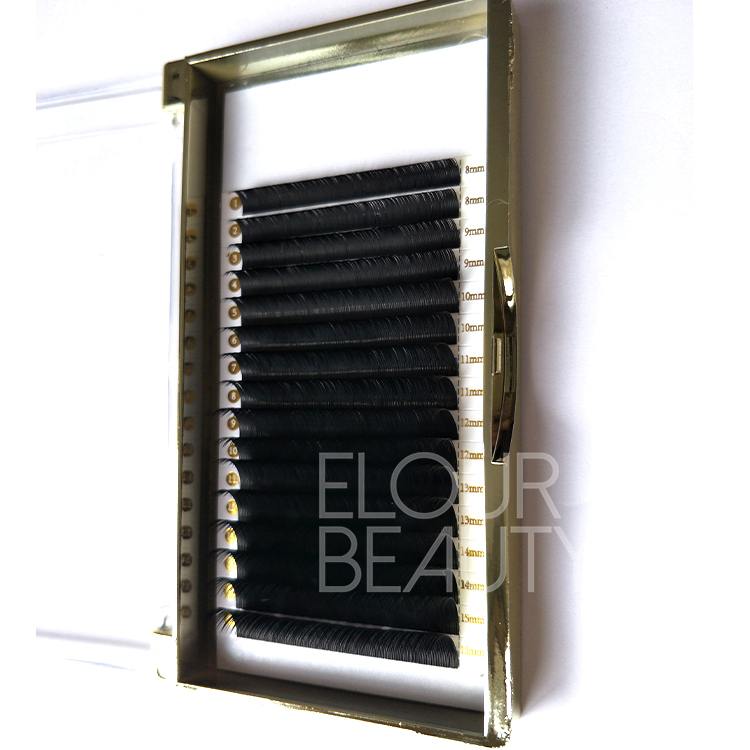 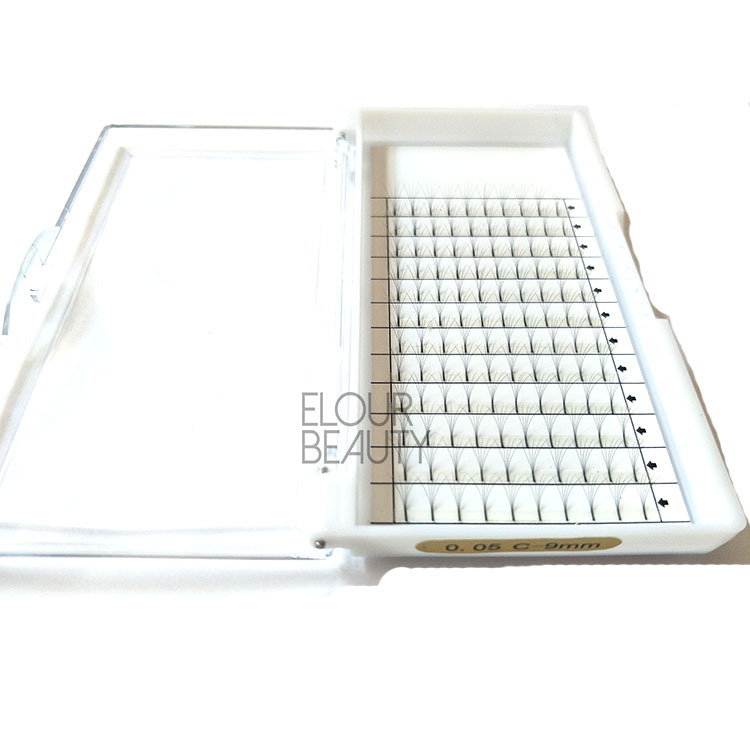 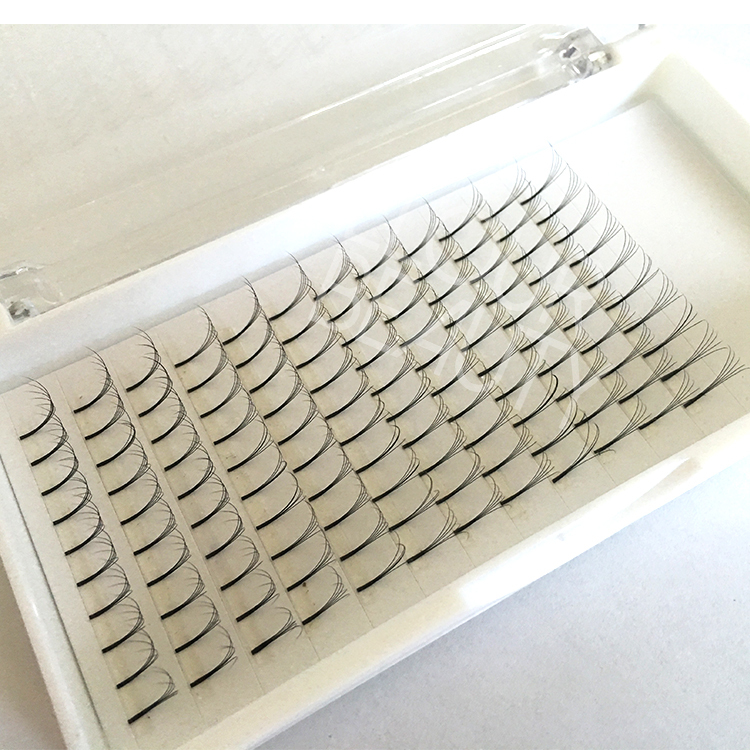 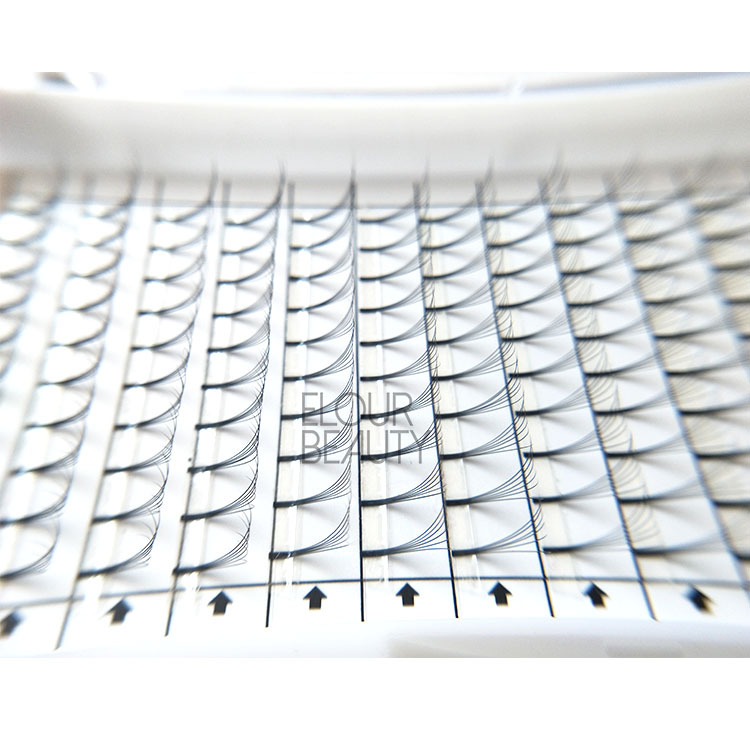 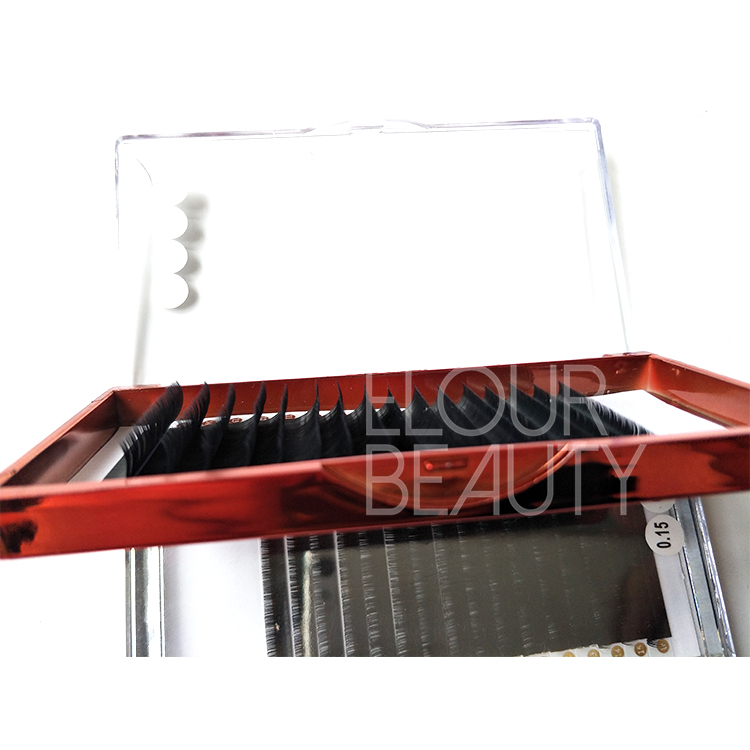 0.05mm thickness C curl 9mm length for that tray,packe in white box,and also we have gold ,pink,rose gold,green,blue and different color luxury package boxes,do your own logo,showing the highest quality of our pre made fans eyelash extensions.